Oil Color:I cannot see through the dark brown glass. 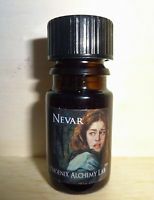 Bottle Design and Artwork: This is a 5ml standard brown apothecary bottle. The label extends just under halfway around the bottom. The label has a violet cast wit the name of the character in white fount outlined in a softer fuchsia and the name of the collection and company name in a similar, smaller font at the bottom. 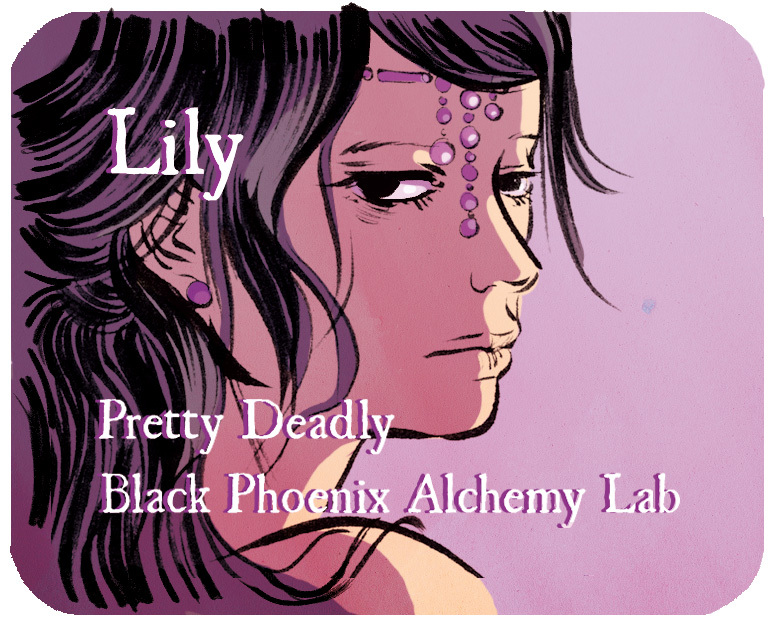 The image is of Lily staring over her shoulder. ITB: Jasmine rushes at my nose like an over-eager line backer, nearly bowling me over. Gardenia sweeps in quickly after as if trying to help me up from my initial shock. IT’s certainly very strong, white floral. Wet: On my skin, the jasmine is a bit more restrained, although still somewhat brutish. There’s an odd watery or papery quality that the magnolia is adding, I think. I’d love more resin, though…or any at all. Dry: Sadly, Lily has remained largely jasmine for me, and it’s the kind of jasmine that reminds me of late 90s wall plug-ins air fresheners. Scent Description and Notes: Patchouli, musk, beeswax, jojoba oil. 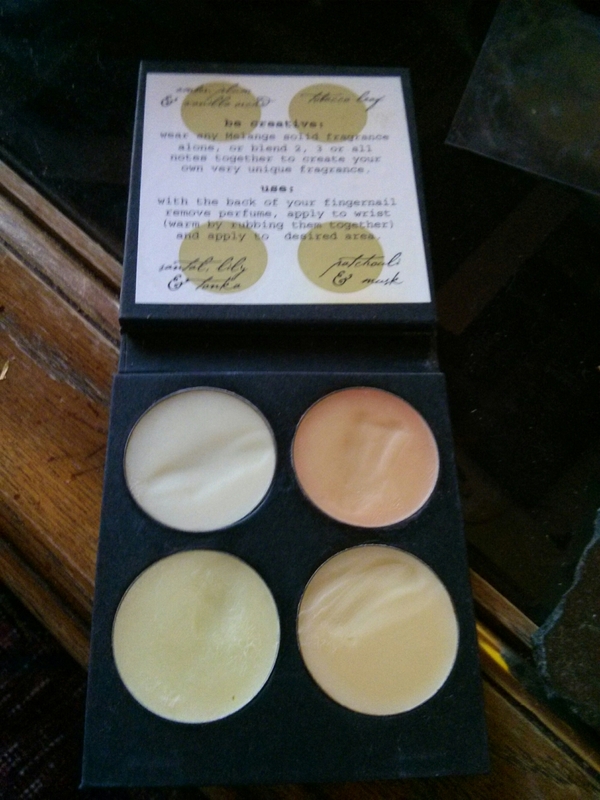 Perfume Oil Color: This is a solid perfume the color of beeswax. Bottle Design and Artwork: This is set up like an eye-shadow palette. ITP: Spices and patchouli – yum. This works really well together. It’s earthy, somewhat resinous, and rich. Wet: Lots of earthy, rich patchouli surrounded by spiced beeswax, amber, and musk. Oh, this is good. It’s earthy but also sensuous. Dry: Once dry, it’s much woodier, earthier, and less sweet. It’s not bad; it’s actually a decent, not overtly dark patchouli scent, but something worth pursuing if you do like patchouli notes. Scent Description and Notes: Santal, lily, tonka, beeswax, jojoba oil. Perfume Oil Color: This is a solid perfume the color of citronella wax. ITP: It still has a bit of the spiced note I’m smelling in the other solids, but it is much more floral from the lily and the tonka is also distinctly clear even directly from the palette itself. Wet: This one is a soft combination of lily, beeswax, santal, and tonka that is feminine, reflective, and soothing. I actually like this one as a stand alone. Dry: After some time, the beeswax is the stronger base note, followed by the lily and the tonka. It’s sweeter than before, which I’m actually more sad about than I expected as the scent was very well balanced when still fresh on my skin. Scent Description and Notes: Tobacco leaf, beeswax, jojoba oil. Perfume Oil Color: This is a solid perfume the color of the lighter part of a peach. ITP: It’s a very sweet tobacco leaf, to the extent that I can identify the beeswax, but I also feel like there is a similar date or spiced palm note in there as well, just as in the previous review. Wet:On my skin, it’s like spiced fruit cake and tobacco leaf with a touch of beeswax. It’s certainly pleasant, but it reminds me of the holidays. Dry: The spice quality of the perfume dies down some and lets the tobacco leaf shine, which is sweet and full bodied. Overall, this is a pleasant, long-lasting perfume. Scent Description and Notes: Vanilla, orchid, palm, amber. Perfume Oil Color: This is a solid perfume the color of solid coconut oil. ITP: I’m getting vanilla orchid and spiced plum with a touch of plum. It reminds me of a room spray. Wet: It is still very similar, although the spiced note is stronger, the vanilla leads as pervasive, and the orchid more gentle. It’s a nice scent. Dry: It remains very similar to due its solid nature. 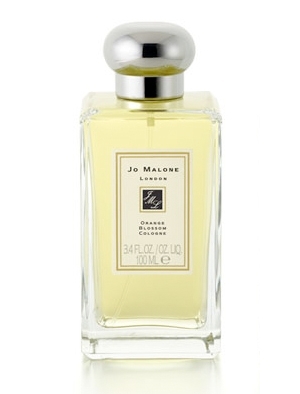 It’s a sweet, inoffensive sent that is very feminine and would serve great as any layer when combining scents. Oil Color: A nearly colorless crystalline color. ITI: The cherry here is a gorgeously dark cherry, like maraschino cherry, only with the Rainier variety. There is something that reminds me of amaretto as well, and the chocolate note is more of a chocolate liquor rather than the overtly sugar chocolate note I’ve smelled before from the lab. So far, this is very nice. Wet: Ah, now I know what it reminds me of: cherry cordials. It makes my mouth water! The orange blossom keeps the scent from being completely foody, adding some light and innocent floral to something that would otherwise be very hedonistic. Woo, this is awesome! Dry: It’s less foody and just wonderfully charged due to the distinct cherry and chocolate liquor notes, although the orange blossom here is essential in making this a very pleasant and alluring scent that is both indulgent and inviting, even to a non-foody like me. I think I might even consider getting more of this! Oil Color: Energy drink yellow. ITI: Calla lilies and roses – the first notes out of the imp – strike me as imperious, pure, and lovely. Wet: The calla lily and wisteria are incredibly strong, like soap meant to mask months of odor, although with the addition of the rose that’s peaking thought, the scent, although strong, isn’t bad. It’s just not something you’d want to douse yourself in. Dry: Once dried, it skews all the way over to too soapy. I certainly smell clean, like a combination of Irish Spring without the harsh green and Ivory soap. I’ll pass. Oil Color: A light barley color. ITI: It reminds me of Trappist monk holiday cake – very sweet, almost candied orange, with a heady floral and resin, but combined to read almost bread-like. Wet: Soft and gently wafting plumeria and jungle blossoms intoxicate while copal and burning incense lulls my senses into a lackadaisical sense of hazy bliss. Wow, this is much nicer on. Dry: It’s soft and pleasant – plumeria and incense are balanced perfectly to create a lovely daytime or evening scent. Gosh, it’s taken me what seems like an eternity, but I’m finally caught up after the stint without home internet…just in time for me to go on “vacation.” I’ll be in the middle of nowhere central California helping my parents clear out all of my old goods, so internet there is spotty at best. Hopefully, I’ll be able to keep updating and not need to catch up again. Bottle Design and Artwork: This is standard 1.5 ml clear glass vial with black spray cap. The vial has various font sizes displaying the name of the scent creator, name of the scent, location, and production location information. ITV: That’s nice. It’s a soft, unassuming, watery floral with a hint of distilled apple and very faint rose. Very feminine but equally professionally polished. Wet: It’s slightly more astringent on my skin, but the suede adds a nice balance to the feminine notes above. I really like this as a work-place scent so far. 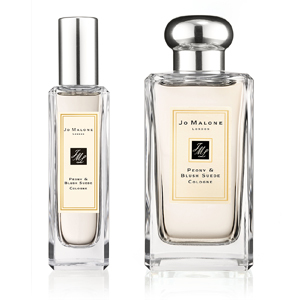 Dry:The jasmine and peony now are the strongest notes with light peony and faint apple. Very nice. ITV: Strong orange blossom and clementine with a touch of green, but from the citrus leaves. It’s certainly refreshing. Wet: Very strong citrus – citron, clementine, with lots of citrus flesh on top, followed slowly by light floral from the water lily and orange blossom, which tempers and balances the citrus nicely. Dry: It dries about the same as it settles when wet. It’s pleasantly refreshing with enough floral to keep it from being entirely a citrus-center scent. Scent Name: Style de Paris Manufacturer: Catherine Malandrino Scent Description and Notes: “Birchbox Breakdown: When we seek out a new perfume, we prefer to go with one that’s layered and complex like we are (if something is going to define us, then it better represent, right?). This scent from fashion designer Catherine Malandrino hits all the right notes with a playful yet sophisticated oriental fragrance mixed with fun fruits (think: Italian Mandarin, ruby red grapefruit, and Nashi pear). Like her renowned, sought-after designs, it’s the perfect blend of chic Parisian style and the infectious energy of New York City. Perfume Oil Color: Cannot tell through black plastic of vial. Bottle Design and Artwork: This is a standard 1.5ml sample vial. The vial is a black plastic with marigold writing tat features the name of the designer and the type of perfume (eau de). ITV: It strikes me as an older scent trying to be young through its use of bright fruits (I do think pear is one of them) long with gardenia and amber. However, there’s a powdery quality to it that makes the scent skew older than it should, diminishing some of the bright airiness that would have made this scent appeal to a younger audience. Wet: It’s more juicy fruits on my skin than powdery floral, which is nice Pear is sniffable once again, followed by orange blossom and gardenia with a touch of citrus and some musky amber. There’s an odd note in there somewhere that reads like a cardboard box, so I’m not completely sold on the scent. Dry: Now that it’s had time to settle, I like the scent much better. It’s less powder and cardboard and more fruity and resinously sweet, like amber and caramel soaped pears infused with orange blossoms, a hint of musk, and gardenia. It’s worth the dry-down. Oil Color: A thin coffee brown. Bottle Design and Artwork: This is a standard vial / imp size (1/32 oz). This is a decant from Absinthetics. On the back, she has the notes of the scent, the name of the scent in orange bold font, and her decanting information in green. The font of the label features a lovely painting of an overgrown temple. ITI: The cypress and pine pitch make the scent initially very astringent, but useful for a stuffy nose. However, second sniff reveals a sub-layer of resins and spices that tone down the astringency and add some lovely exotic undertones. Wet: IT’s still very close the the bottled impression with just a bit more clove, musk, and sandalwood. It reminds me of a wooden incense box. Dry: It’s definitely a strongly wood and resin scent. After a few hours, it is the scent of pine pitch, sandalwood, tobacco, musk, and clove that remain. It’s pleasant, but very strong and non-floral. Oil Color: A refreshing lemonade color. ITI: It’s sweet from the apple blossom, while being deliciously refreshing from the heavy melon note. Wet: I actually get happy when I apply the perfume. It reminds me of something familiar that I can’t seem to place. It’s a lovely musky white melon flesh note with a touch of the fizz from mandarin and the subtle softness from apple blossom. Dry: It fades pretty quickly, but what is left is still pleasant and evocative, like a warm spring day amongst the flowering apple trees and beds of early flowers, but suffused with a sweet muskiness and a touch of spice from the melon, oakmoss, faint nutmeg and bergamot. I really like this scent and I’m more than a little upset that I just picked up an imp of it. 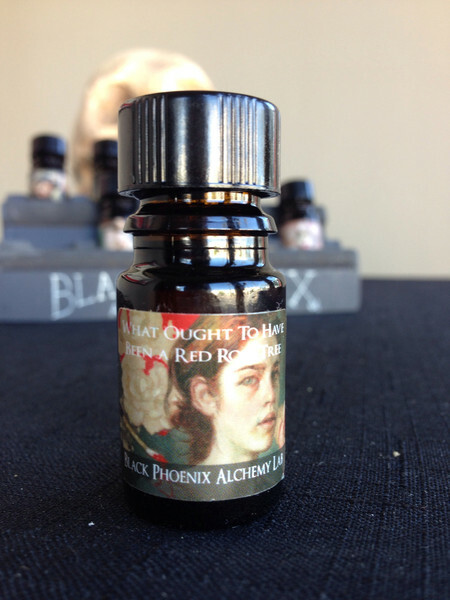 Manufacturer: Black Phoenix Alchemy Lab – Happy Birthday Lilith! 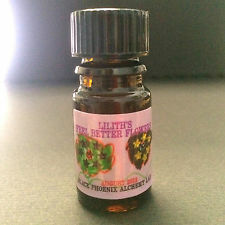 Scent Description and Notes: “I’ve been trying to teach Lilith a little bit about herbalism, aromatherapy, and plant lore. We talk about all the plants that are growing in the yard, we talk about all the tinctures, simples, and other concoctions that mom makes, and we play a board game that’s all about wildharvesting herbs. Bottle Design and Artwork: This is a standard vial / imp size (1/32 oz). This is a decant from Absinthetics. On the back, she has the notes of the scent, the name of the scent in orange bold font, and her decanting information in green. The font of the label features the sample label art as the bottle. ITI: It’s lightly floral and strongly herbal with chamomile, thistle, ginger, and carnation being the strongest notes on first sniff. Wet: It’s more herbal with chamomile and then lavender taking center stage, I still can pick up on the thistle, but not much else is coming through. It reminds me of a poultice. Dry: After 12 hours, the chocolate peppermint comes though all the herbal notes, leaving the scent to be what I imagine a chocolate Star-mint on a bed of thistle and lavender smell like. I’m still struggling to get through my back log after nearly a month of existence without internet at home; however, I’m close. I’m also close to the 1000 mark and I think I very well may reach it. I have 12 more imps in my amo case, am waiting on a decant circle with about 6 more, and then have a bevy of designer scents on my bureau just waiting for my attention. Scent Description and Notes: “Nothing about him looked particularly demonic, at least by classical standards. No horns, no wings. Admittedly he was listening to a Best of Queen tape, but no conclusions should be drawn from this because all tapes left in a car for more than a fortnights metamorphose into Best of Queen albums. No particularly demonic thoughts were going through his head. In fact, he was wondering vaguely who Moey and Chandon were. Crowley had dark hair, and good cheekbones, and he was wearing snakeskin shoes, or at least presumably he was wearing shoes, and he could do really weird things with his tongue. And, whenever he forgot himself, he had a tendency to hiss. Oil Color: A steeped chai colored oil. ITI: Oh, that’s a deliciously seductive scent there. The lilac cologne is sophisticated, slightly haughty, yet alluring and charged when paired with the vanilla, leather, , lemon remind, and mahogany. Wet: The vanilla, musk, and red patchouli are stronger on my skin, making the scent even more intoxicating. I would have a hard time not swooning if my man were to wear this – it’s gentlemanly and fiercely sexual, but still very wearable by any gender. Dry: It’s musky, still very red from the patchouli and mahogany, and very much a delightfully sinister and alluring force from the leather and vanilla with the faint hint of cologne that remain. Oil Color: A slightly more orange dry pasta color. Bottle Design and Artwork: This is a standard vial / imp size (1/32 oz). 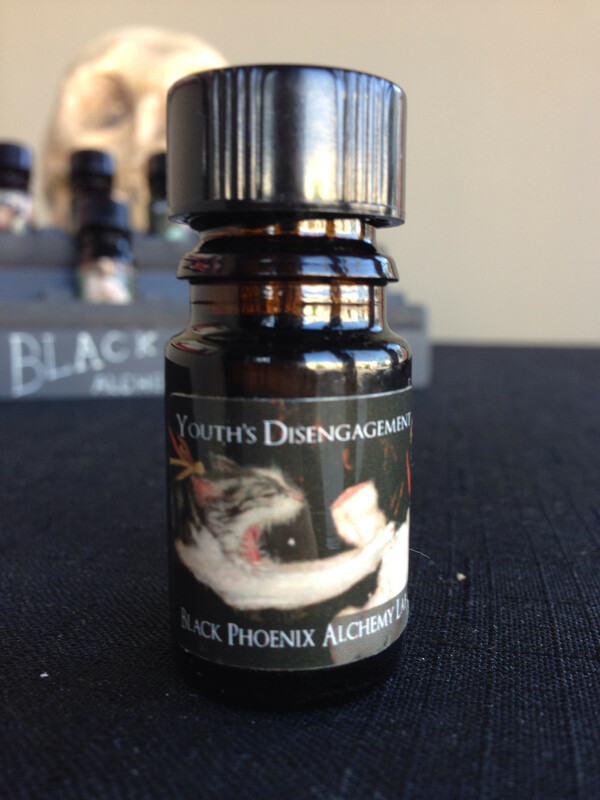 This is a decant from Absinthetics. On the back, she has the notes of the scent, the name of the scent in orange bold font, and her decanting information in green. The font of the label has black iron-work cogs on it. ITI: It’s very perfume-y: strong indigo musk, jasmine, and cereus resonate with the patchouli and dark olibanum. I’m not getting any spiciness from the Ceylong cinnamon, which I think would make the scent more appealing as a whole. Wet: Ah, there’s the lovely spice that makes the generic “perfume” scent something more esoteric and inviting. It enhances and deepens the other reins while it keeps the florals from getting too dominant and turning the scent into a Glade reprieve. Dry: After just over an hour, the scent has dried down to a pleasant, warm, and darkly maternal combination of musk, vanilla orchid cereus, super light jasmine (thankfully), with a dusting of patchouli, olibanum and Ceylon cinnamon. Oil Color: A creamy white-ish yellow oil. Wet: Okay, now it’s a bit different, but I still get the heavy, cloying vanilla cream, but now the marshmallow, sandalwood, and ginger notes emerge, tamping down the overt candied fun-house sweetness of the in-the-imp scent. Dry: It once again smells faintly of candied fruit and cream in a highly carnival-esque way. I’m not a huge foody fan, so I’d need to be in the mood for this one. 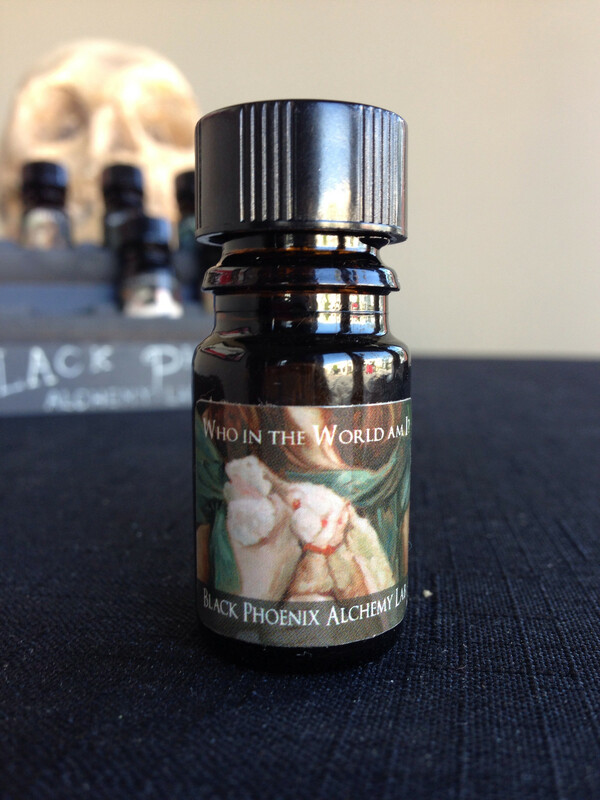 Day 897 – BPAL’s Who in the Wold Am I? Scent Name: Who in the Wold Am I? ITI: I’d call this a round scent. I pick up on the cotton and lavender immediately, but there’s a slightly denser note that keeps the scent from beeing too buyoant. Granted, the top notes are really rather pleasant on their own. Wet: The lavender note here reminds me of the lavender note in TKO, except that it’s a bit softer without the vanilla and with a touch more sweetness from the spiced oreintal blossoms (which are faint) and the bergamot, lending a soft sophistication to the scent. Dry: It goes through a powdery, almost soapy stage, but once dried for some time, it becomes pleasantly floral with a touch of vanilla and cotton. Oil Color:A delightful satsuma color. ITI: Sweet and inviting almond lures me closer while rose subtly emerges just in time for the dragon’s blood to pounce on the false sense of innocence fostered by the other notes. I like it! Wet: There’s almost a citrus quality about this, but more of a citrus tea than a straight tangerine. I think much of that stems from the combination of the white tea, the white rose, and the dragon’s blood resin, with some sweetness from the almond. There is also a touch of powderiness to the scent as a whole, but it’s very pleasant – feminine without being too floral, too cloying, or too exotic. Dry: Lightly powdered roses and fragrant tea with subtle almond powder and just a hint of dragon’s blood – like a proper lady’s dusting powder to soften the skin with just a hint of intrigue. Oil Color:A raw honey color. ITI: On first sniff, the scent is rather smoky – opium poppy and wafting vetiver overwhelm the other notes completely. After some time, I can tease out the indigo, musk, and plum, but not much else. Wet: Wow, much more complex on my skin. The opium is much stronger now and the incense cuts through the vetiver along with the musk and indigo, making for a really interesting combination when paired with the violet, like a Victorian head shop where you’d expect to have high tea set against luxurious silk pillows obscured by billowing opium smoke. Dry: It’s soft from the swirling incense and “blue” in a sense from the vetiver, violet leaf, indigo, and musk. It’s a bit strong at first, but it certainly tones down to something a bit more wearable, but still heady and indolent.